The menu can be a little overwhelming at first…but I love that you can customize most items! 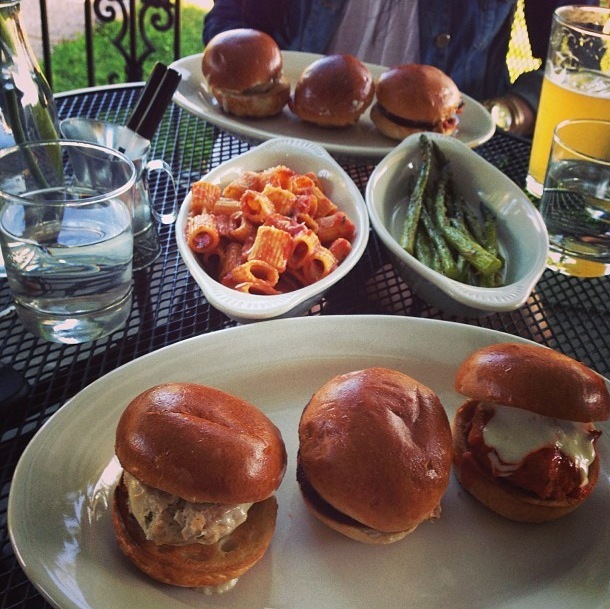 I can’t steer away from the meatball sliders (you pick a meat & sauce). So far, I’ve been to Meatball & Co. 3 times & I haven’t been disappointed yet! Below is everything that I’ve tried & loved! They also have NOT JUST daily meatball specials; but other specials as well – They update their Facebook page daily to let people know what’s up for the day/week. 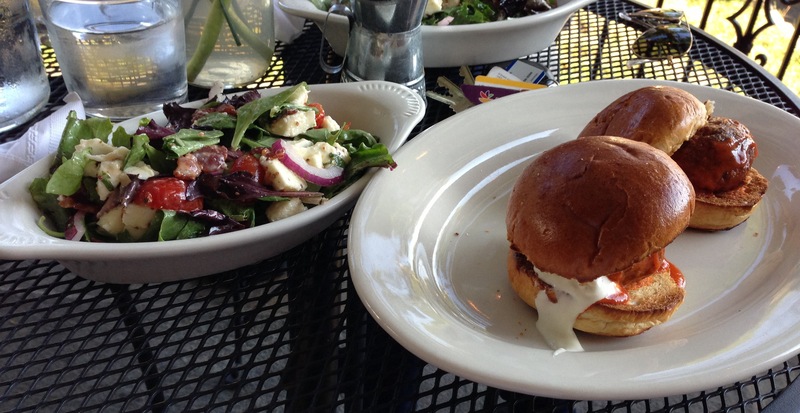 Meatball & Co. doesn’t stop at meatball sliders – you can get a meatbowl (4 meatballs, pick your sauce, pick your bread); meatball sandwiches; cookies; ice cream sandwiches; floats; beer/wine etc.. They have also just recently added Gluten Free meatballs (available most days). Overall, I have nothing but good things to report about Meatball & Co. – a great addition to the area & after a few visits I know I’ll be a regular! This entry was posted in Darien and tagged Bacon, Beef, bleu cheese, cheese, Darien, Darien Connecticut, Darien CT, dinner, Facebook, food, gluten free, gluten free meatballs, Meatball, Meatball & Co., meatball sandwich darien, Meatball Sandwiches, meatball sliders, Mozzarella, restaurants, sliders, Tomato sauce. Bookmark the permalink.